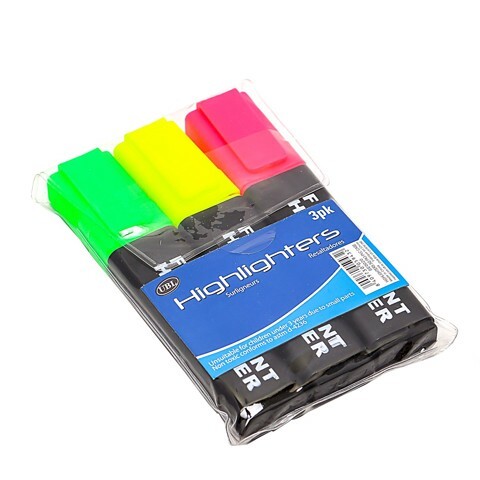 Highlighters Mixed 3Pk. 12cm x 2.3cm. Green | Yellow | Pink. Ink | PP Plastic. 51G Packaging: PVC Bag Printed Insert.